Anyway, since it's Monday...here's my Mother's Day moodboard (in my Mom's favourite colour) for you. Enjoy! Und da es Montag ist gibt es wieder eine Collage (in der Lieblingsfarbe meiner Mutter), mit Geschenkideen zum Muttertag! Hey Hey ;) Zur Zeit läuft bei mir eine Blogvorstellung und ich wollte dich fragen,ob du Lust hättest daran teilzunehmen? Ich würde mich sehr freuen! Ich wünsch Dir einen guten Start in eine wunderschöne Woche! Too bad you couldn't get to visit your mom, but you both still have something to look forward to! Have a good week. lovely picks and gorgeous colour palette Duni! No wonder it's your mum's favourite colour :) My fave is the mug. Nice features! Enjoy your trip -- your mom will be happy to see you no matter when you go! I hope you will find a reasonable price for your flight! I know how you feel not seeing your mom as often as you can. I'm also far away from my mom and it is getting difficult to find a good flights lately. Also, all those government restrictions hard to managed. I love the color of your mood board. Stunning! I wish a Happy May to all! I'm glad you'll be able to see your mom next month but I'm sorry you had to delay your trip. Your mood board is lovely and very relaxing. oh my the green of that soap. gorgeous. That is a very pretty shade of green. Very soothing. This moodboard really does make me think of my mom! I'm glad you were able to get a flight to go see yours, even though it's later than you'd hoped. ich mag Deine Moodboards total gern. Deine Inspirationen für den Muttertag sind total schön und das zarte Grün in diesen Nuancen phantastisch. I am sure that your mom will be happy no matter when you come. Beautiful colour, so refreshing. Schade, dass Du den Flug absagen musstest, ich wünsche Dir nun eine schöne Zeit mit Deiner Mama! ach wie schön, dass Du jetzt trotzdem noch Deine Mama sehen kannst. Deine Collage in Grün zu Ehren Deiner Mama finde ich so schön. Ich mag Grün auch sehr, aber ich kann mich heute nicht entscheiden, welches Bild mir am besten gefällt! Beautiful pick as always! I'm so glad that you'll be able to visit your mom in the near future. So glad you will have a week to visit you mother! How wonderful! Love your beautiful choices - what a pretty color. Maybe I will do a treasury in my Mom's favorite color. I like the idea of this nice tribute to your mother! 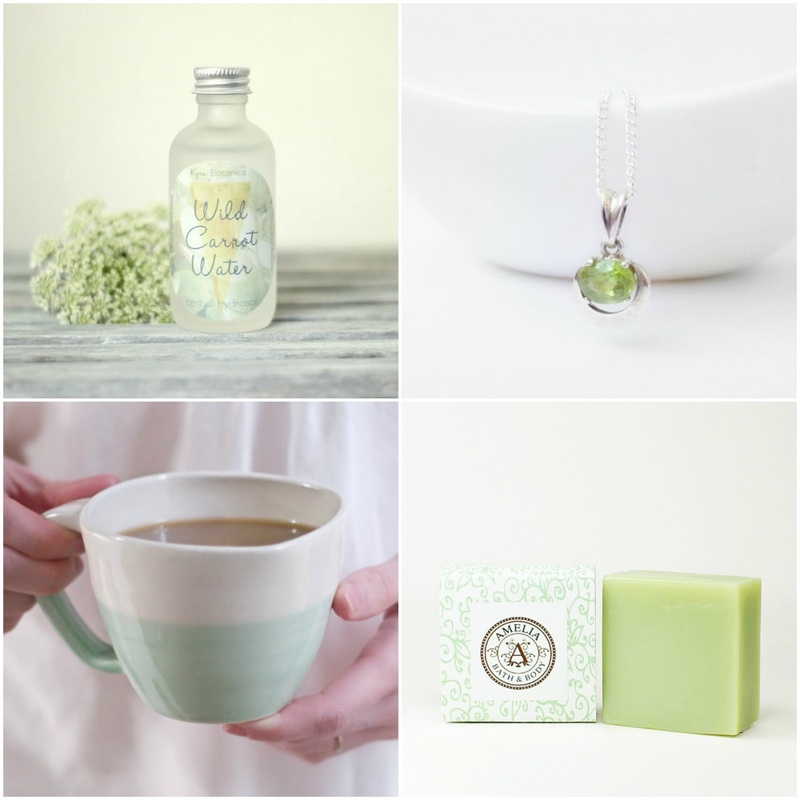 Nice moodboard and ideas for mother's day. Hope you and your mom will have a good time together when you get to visit her. So pretty! I hope you have a wonderful week with your mom later this Spring. I'm glad you were able to work out another time for your visit! Unexpected business problems are the worst. Love the color so soft and delicate. sorry your visit with your mom has had to be postponed. I hope she is doing well. I just love that pale green color! Nice picks! Hi Duni! Thanks for the reminder about Mother's Day. I need to plan where to take my mother then. :) I hope you will have a great time with her.